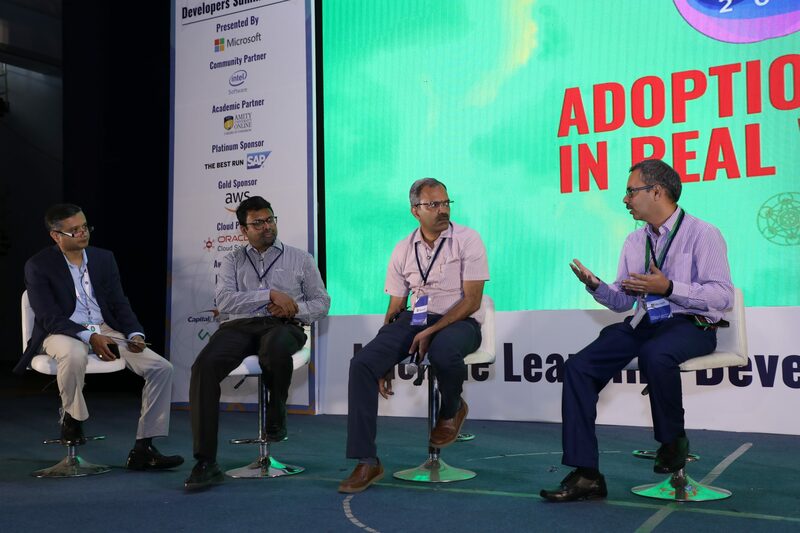 At MLDS 2019, India’s first applied AI and machine learning conference focused on developers, data scientists and managers, the thrust was on developer tools for machine learning and deep learning. Attended by over 700 delegates from across India, MLDS 2019 emerged as the best forum to learn, network and discover the latest in applied AI and deep learning tools and frameworks. Developer tools are key to turn data into insights and this formed the core of the 2-day summit, which concluded on January 31. There were discussions which dived into the latest and future impact of AI applications across a breadth of sectors and keynotes from leading world-class technology leaders who gave an overview of the technological direction of leading tech companies. Through Tech Talks and Masterclasses, MLDS 2019 presented a slew of hands-on tools and methodologies which helped the developer base gain a deep understanding of AI/DL tools and frameworks. The 2-day summit saw participation from top tech companies like AWS, Microsoft, Intel, Walmart, Flipkart, Philips Research, Amazon, Happiest Minds, AB InBev and Viacom among others. Talking about the event, Sachin Kelkar Head – APJ Developer & Partner Program, shared, “MLDS19 showcased a gathering of likeminded AI enthusiast and a great platform for Developers to learn and share…insightful tech talks & masterclass sessions, overall a good show and great connect with the community”. One of the companies that had a huge presence throughout the 2-day summit was leading hardware giant Intel, which through a series of Tech Talks, panel discussions and keynote successfully positioned itself as an AI-first company. What was also clear was Intel’s strong focus on the next big wave in computing and its expanding AI Software Portfolio that put tools in the hands of developers. 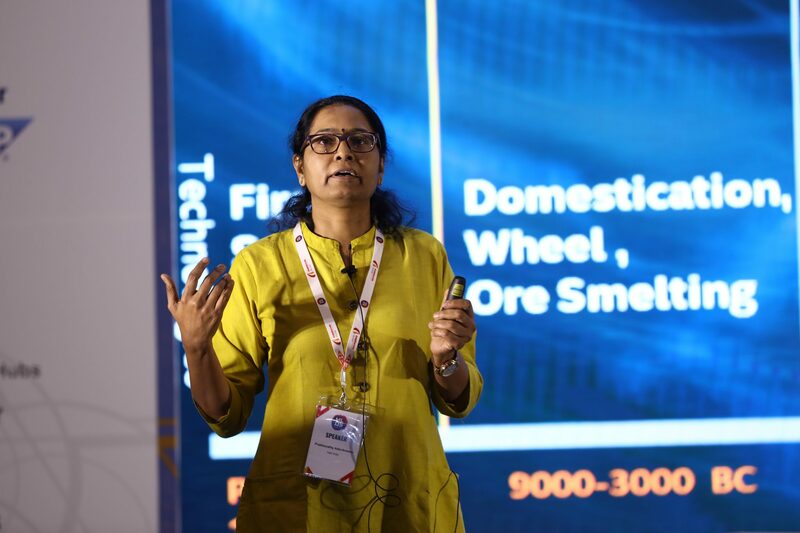 Day 1 was helmed by Prabhavathy Adavikolanu, Director – Product Development, New Business Opportunities at Intel India who gave a lowdown on the strategic initiatives taken by Intel in both India and globally in her talk “Learning to Learn”. 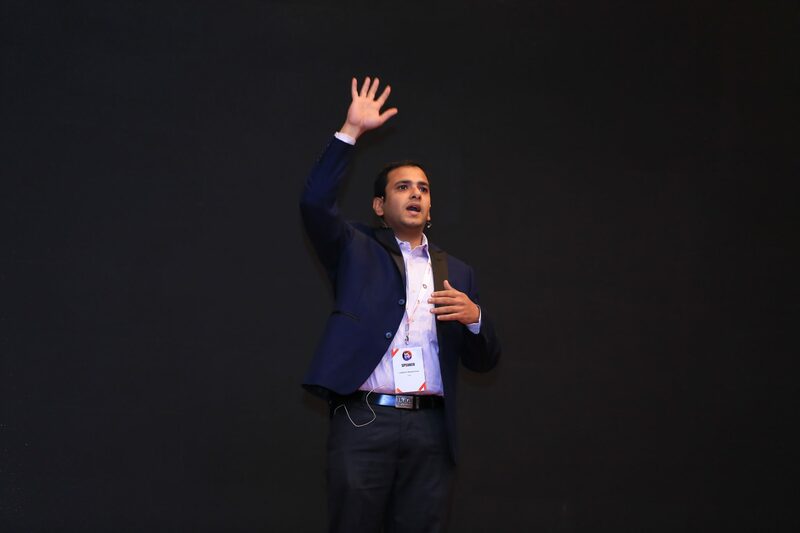 Throughout the 2-day summit, the key takeaway was how AI has come of age and it was the same sentiment echoed by Adavikolanu who gave an overview of the company’s technological direction and what Intel, which transitioned from a traditional chipmaker to an AI-first company is doing to mainstream the technology. “Today, we see a huge explosion in data and very soon the focus is going to shift to hardware architectures. 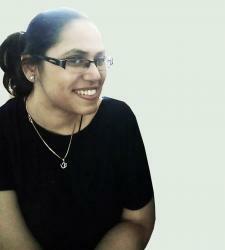 Apart from the CPUs and GPUs we have a huge number of architectures that are coming up right,” she shared. Talking about how hardware is advancing AI deployment, Adavikolanu said during her keynote address, “We can see a huge change deployments today of multiple AI applications. At Intel, apart from the CPUs and GPUs we have a huge number of architectures that are coming up right now, which are very specific to Deep Learning accelerators. For example, FPGAs are one of the biggest DL accelerators and neural network processors”. Up next, attendees also gained valuable information about developer tools and how Intel is expanding its AI software portfolio in an informative tech talk by Lakshmi Narasimhan who leads the consulting team for Compute Performance and Developer Products division within Intel. Talking about the evolution of hardware, Narasimhan shared the evolution in computing which started with mainframes. “Compute started off with mainframes, then moved onto standard based servers, the next wave was in the form of cloud virtualization and now AI is the next computer revolution,” he said to a hall packed with delegates. While there is tons of research going on in the field of AI, what Intel is trying to do continue to lead when it comes to taking AI to the mainstream, for example, by taking AI compute from the cloud to the device. “We just don’t want to stop at the research phase, we want to take it to mainstream,” Narasimhan shared during his address. 1) Intel® Data Analytics Acceleration Library (Intel® DAAL): DAAL is widely used by data scientists from its range of algorithms, ranging from the most basic descriptive statistics for datasets to more advanced data mining and machine learning algorithms. A key feature, as emphasised by Narsimhan is that for every stage of the pipeline, there are tools providing APIs and it can be used with other popular data platforms such as Hadoop, Matlab, Spark and R.
2) Intel Distribution for Python: Intel provides a faster and more optimized Python package for classical machine learning wherein developers can gain advanced Python performance and easy out of the box access to high performance through Intel Distribution for Python. This tool allows for better performance and speed-ups as compared to open source scikit-learn. 3) Intel MKL-DNN:Intel MKL-DNN is an open source, performance-enhancing library which has been abstracted to a great extent to allow developers to utilize deep learning frameworks featuring optimized performance on Intel hardware. This platform can accelerate deep learning frameworks on IA and developers can also learn more about this tool through tutorials. 4) Intel distribution of OpenVINO Toolkit: This high performance computer vision and deep learning toolkit is based on CNN and provides heterogenous execution across all Intel platforms. Day 2 also saw a very informative panel discussion on Adoption of AI in the Real World moderated by Milind Hanchinmani, Director of Developer Relations Division, Intel. The other panelists included Suresh Srinivasan from Formcept, Srinivasan Govindaraj from Happiest Minds, Navaneethan Sundaramoorthy, co-founder of Uncanny Vision and Indranath Mukherjee, AVP & head of strategic analytics at AXA XL. The panel discussion presented interesting facts about where India stands vis-a-vis AI, ranked third in implementation after US and China and real world concerns related to talent and data privacy. Another key highlight during the 2-day summit was Intel’s booth that ran a demon on Intel Movidius Neural Compute Stick that allows for rapid prototyping, validation and deployment of DNN inference applications at the edge. Also on site was Intel ISV Global Edge that gave a demo of how they used the tool for traffic classification for real-time drivers on Indian roads. Intel also had ISVs who shared their success story on Intel architecture. 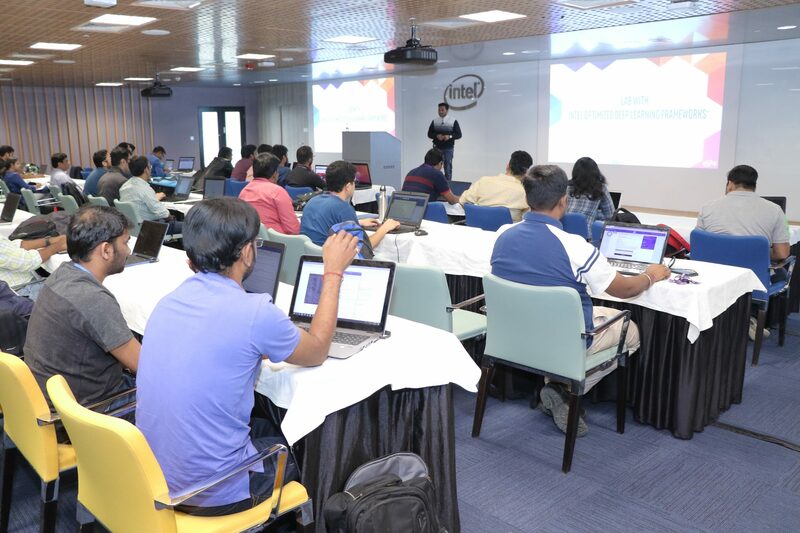 Intel recently conducted a full day hands-on workshop at their campus which saw 70+ participants attending. The workshop covered key tools on DL Training on CPU and Inference at the Edge using Intel OpenVINO toolkit. This workshop also worked through computer vision workflows using the latest Intel technologies and comprehensive toolkits including support for deep learning algorithms that help accelerate smart video applications. “Overall, the event saw a great camaraderie of likeminded individuals and AI Enthusiasts at MLDS19, Great show TEAM AIM,” said Kavita Aroor, Developer Marketing Manager- Asia Pacific & Japan, Intel Corporation.